Uniting the opulent dramatics of Renaissance and Romantic traditions with a flair for experimental contemporary aesthetics, Irish artist Chloe Early’s stunning, dream-like paintings explore the coalescence of fantasy and reality. Chloe Early's painted figures balance a mimetic execution of the human form with expressive mark-making — gestural splashes, scrapes, and drips — blurring figuration and abstraction in a surreal and oneiric manner. Ethereally suspended in space, her subjects become metaphorical vessels for the human psyche, embodying themes of hope and redemption, as well as chaos and oblivion, opposing ideas and emotions vying for a place within a weightless atmosphere: "I wanted to capture them at a moment where it was uncertain whether they were in the glory of a rise or a danger of a fall." Chloe Early was born in 1980 in Cork. She attended the National College of Art and Design in Dublin studying printed textiles, graduating in 2003. Her transition to painting incorporated oil on linen or aluminium panel, the latter providing a reflective luminosity and an incandescence which adds to the aura of her artwork. Early’s practice is often described as a cutting-edge revival of representational art, and while it employs an avant-garde aesthetic, there is an undeniable grounding in art historical convention. 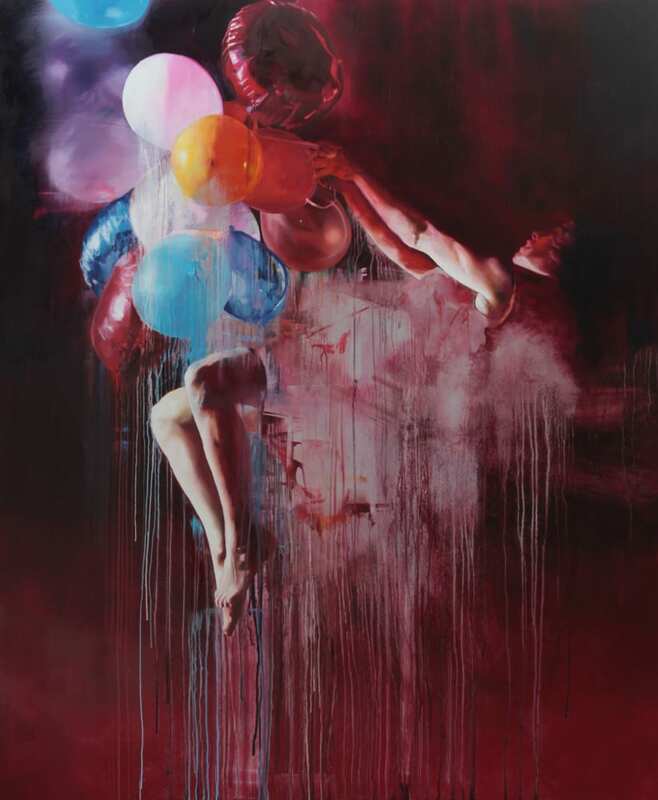 In her series Suspended, the artist drew inspiration from Gian Lorenzo Bernini’s sculpture The Ecstasy of St Teresa, the paragon of Italian Baroque compositional elegance and technical complexity, and combined it with the rawness and anxieties of modern life. 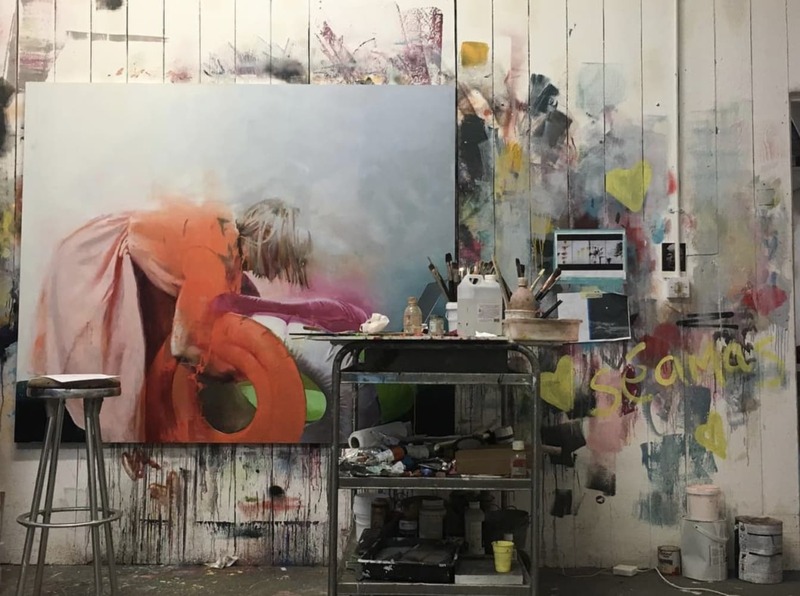 Now based in London, Early has found global success, exhibiting her work in prominent galleries in Los Angeles, Miami, and New York, boasting notable clientele including singer Alicia Keys. Early has also traversed into different media, and was included in U2’s music video for Iris (Hold Me Close), as well as collaborating with filmmaker Andrew Telling for a short video piece as an extension for Suspended at the Outsiders Gallery London in 2014.